Even though it's important to remember those less fortunate throughout the year, the holidays are a great time to channel that charitable spirit! The Teach Student Council is sponsoring a drive to collect toiletries for the homeless. Any items relating to personal hygiene and cleanliness would be greatly appreciated. Collection boxes are located in the classrooms and also in the office and library. Drop in and drop off some travel-sized shampoos, soap, lotion, hand gel, fresh travel razors - whatever you can share! Larger sized bottles will go to shelters, but the smaller ones are portable and easy for travelling people to take with them. All donations are appreciated! The Bishop's Peak Student Council is sponsoring a food drive for the Food Bank of SLO. The need for food in our county is at an all-time high, and Food Bank stores are desparately low. Collection boxes are in each classroom and in the office and library. Any non-perishable food items are gratefully accepted. Please give! Picture Make-up/Retake Day has been rescheduled for Wednesday, December 9 due to a delay in getting the original pictures (hopefully coming this week!). A make-up picture packet will be sent home in advance of the make-up day. If you didn't like the first picture, just return the package with your child and their picture will be retaken. 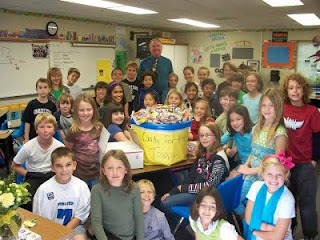 Many students from Teach and Bishop's Peak contributed their extra Halloween candy to send to the troops in Afghanistan. Mr. Crabb's students got it all packed to ship. Veteran's day is November 11. Not only is it a no school day, but for goodness sake, it's Veteran's day. Take a minute to be thankful for the incredible sacrifice our servicemen and servicewomen have made over our history to make and keep our country the wonderful, free home that it is. Mr. Crabb's class has invited several veterans to speak in their class and explain a little bit about their personal military experience and answer the kids' questions. What a great idea - thank you Mr. Crabb! Woohoo! 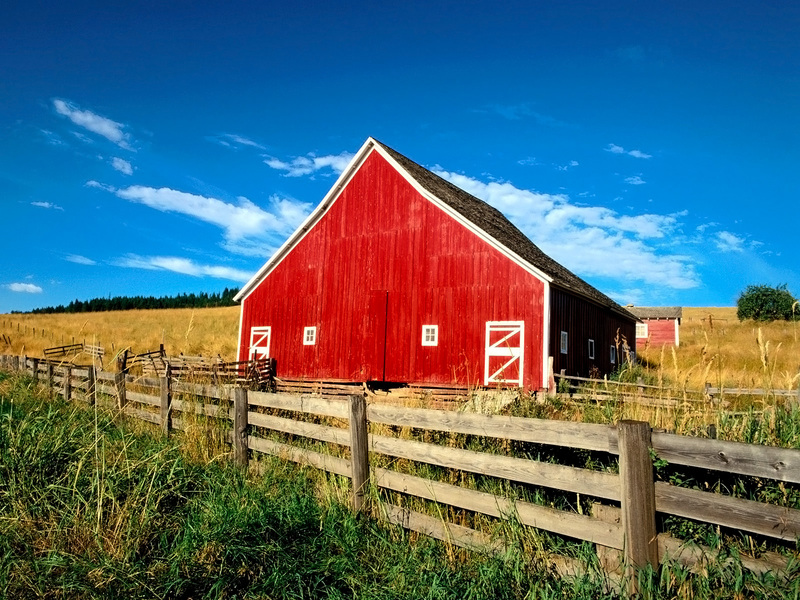 Great job on the Barn Party and BBQ! What a beautiful setting for a nice, family get-together. We'll have information on the total benefit amount from this fundraiser and photos very soon. In the meantime, special thanks to all the special people who made this event possible! That includes all you parents and friends that attended, entered the contests and donated time or materials to make this such a resounding success. Every family at Teach School benefits financially from this fundraiser. Each student pays several hundred dollars less for his or her study trip because of these efforts. Further, families deliberating attending Teach School see the unity between the families that the event fosters as well as the thoughtfulness of carrying out this type of event on behalf of others. Here's the order form. They're cool, they're inexpensive, and they look fantastic! Orders are due by Monday, November 16. Show your school spirit! Wednesday, Nov 11: NO SCHOOL on Wednesday. Its' Veteran's day. That'll give you all day to find a veteran to thank. Don't forget lots of other places will be closed, too. Thursday, Nov 12: Electives begin. Friday, Nov 20: Principal's Coffee in the Library at 8:30 a.m.
OUR NEXT BOOSTER CLUB MEETING IS FRIDAY, DECEMBER 4 AT 8:30 A.M. Drop off your kid and stay a while. We're not snobby and we don't bite. :-) So what are you waiting for? We'd love it if you'd come and join us. You don't have to come every time. Drop in if you can. a. Meeting was called to order at 8:35 a.m. Since the minutes were posted and most people had a chance to read them, it was moved (Ahmad Amir) and seconded (Sunshine Cowgill) to accept the minutes as posted. a. Ahmad presented new balance sheets. b. We changed to a new, shorter duration CD for better interest rate and more allowed withdrawals. c. Our bank accounts need new signors, as Jayme Broudy, Sara Tregenza and Mary Amir were last year’s signors. d. New statements going out will reflect new balances after Genevieve’s sale. If people have questions about statements, please direct them to Ahmad at 441-9080 or they can email him at ahmadamir@yahoo.com. e. It was asked how parents will be notified of funds for next year’s budgets, and this will be discussed in the next meeting. a. Mr. Block expressed his appreciation of the time the Boosters have taken getting ready for our events. b. Parent conferences went well this week. c. The SLO School District office had an interest in partnering to get vaccines for our children to keep them from getting so very sick. They were pleased that they could work with the group providing the vaccine, since so few doses have been available through the regular channels. The school was surprised to receive requests for >200 vaccines, and a tentative date for the vaccination will be determined very soon. There will be a parent welcome in the next newsletter so that parents know they can be present for their children at the time of vaccination if they wish. A special effort has been made for the timing and organization of the vaccination to take into consideration the different needs of children in a wide age range. It looks like the shot will be available to anyone who wants it. There is no guarantee on the number of vaccines available, but they expect to have enough for those who want it. e. Room reps were busy this morning collecting tickets & BBQ Barn Party items. a. Mr. Crabbe has been in contact with the Special Olympics to do a community service project. The student council voted to do a Special Olympics event here at our school in the sprint and students will participate in the planning and execution of the project. There is no date yet set for the project. b. Mr. Crabbe received a $400 grant from the Teach Foundation for a 4th grade field trip to Santa Barbara on the train. This was a regularly scheduled/budgeted trip, but the grant reduces the amount of funds needed from the trip fund for this event. The 4th grade will go to the Natural History Museum and the Mission and possibly the Presidio on February 17.
c. The 4th grade is collecting and finalizing their Candy for the Troops drive for Veteran’s Day. They will box up the candy and ship it to troops around the world next week. 2 servicemen have come to speak to Mr. Crabbe’s class in the past month, and two more veterans are scheduled to address the class. It was generally agreed by the Boosters present that this is a fantastic idea and should get more attention. Ms. Flachman asked if Mr. Crabbe has a camera in his class, and expressed a desire to see more photos of special classroom activities so that the parents and community can see what a great school we have. d. The 4th grade will take a field trip next week to see The Hobbit on stage. e. Astro Camp was “crazy great,” and the trip was much appreciated by the students and teachers. J There will be lots of photos to share. a. T-Shirts were sold last Thursday on campus and an order form will go out with next week’s email & newsletter to parents who still want to order. We will also be offering the shirts at the BBQ Sunday. The sales are going well, and a second order was received this week. b. A date is needed for International Day. This item will be put on the December agenda. c. The Spring Fundraiser is a great time to get the 2010-2011 Booster Board involved so that there will be a smooth transition from the graduating 6th grade parents to a new group. Many of the current board members are 6th grade parents and won’t be involved next year. i. It was suggested that board members should write a job description to aid in recruitment for new board members and transition. It would be nice to get the new board in place by the end of the school year, so they will be ready at the beginning of the 2010-11 year. It will be especially important to apprentice a treasurer early, as it is a big job and may take some time to pass on all the relevant information and training. It was suggested that Helen would be an excellent candidate for next year’s treasurer. ii. Outreach to 3rd grade parents should be provided, particularly around springtime when recruitment activities are ongoing. A survey might be a good way to assess the best times to hold Booster Club meetings, and perhaps we should consider changing meeting times to encourage higher attendance. i. Press releases/newspaper submissions might be a good idea to publicize special class events, particularly ones that are of community interest, such as having Vets talk in class around Veterans Day. ii. Are we doing active relations for recruitment and publicity? Major events are getting on community calendars, including radio and newspaper. iii. Teach was nominated for the Distinguished School award. This award used to be determined by a rise in test scores, but now it’s based on the total score, so that Teach has a better chance of winning the award. The application process after nomination used to be very rigorous and a lot of work for teachers, but now it seems less complicated. If we are named a Distinguished School, we will find out in the Spring. It will be a nice thing to publicize if our school is chosen. i. What is the student selection process? When did it switch from by testing to open enrollment? Its been a “number of years” since it was determined that anything other than open enrollment wouldn’t be appropriate for a public school. ii. It was asked, what if we dramatically increase enrollment? We are free to add more classes if we increase enrollment enough to need them. iii. Concern was expressed about the perception of elitism in our school and also of luring children away from their current schools. It was recommended that recruiting should be more about information than persuasion, and word-of-mouth is the best recruitment tool. Using the term “challenge” as a reason to send a child to Teach School was offered as an example of a successful way to describe why Teach might be a good school for some children. iv. It was suggested that if there will be a big recruitment push, it should be before Open House. Current students and alumni have been a good resource for inviting other children to investigate Teach, and speaking opportunities for those people should be offered again at Open House. v. Should we have a Recruitment Committee? Kathryn rogers volunteered to be involved (not head) with a recruitment committee. vi. Do we have success statistics about alumni? Ms. Lamphier keeps track of alumni and their stories and might be a good resource for that kind of information. i. Current head count is approximately 220 people! ii. Last minute ticket sales & counts are still taking place for the BBQ and other events. RSVP’s have not been received from all families, and those who know the families that have not responded will call them and see if we can get a better head count before the food purchase. iii. Jill Chan and family have donated the meat for the barbeque. iv. Volunteers are busy working on setup and decorations for the event. Logistics and timeline were discussed. A cleanup party will ensue after the event. v. The weather report looks good! vi. An email reminder will go out today or tomorrow. The meeting was adjourned around 10:00 a.m.
Minutes taken by Sunshine Cowgill for Jocelyn Leonard.